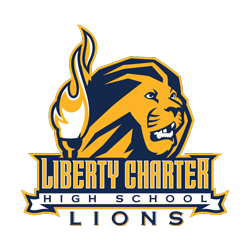 I am the Head Cross Country Coach at Liberty Charter High School. LCHS is a public charter school located in Lemon Grove, CA. As a charter school we lease and do not own our facilities, therefore less money is available to fund after school activities, including sports teams. Fundraising is necessary to field quality programs. We are actively seeking individuals, families, and businesses willing to sponsor our team. Liberty Charter High School is a 501(c)3 organization and all donations are tax deductible. The school pays for the rental cost of our facilities and offsets costs of athletic uniforms and equipment. Our team is responsible to pay for the majority of conference dues, invitational fees and award banquet needs that the Athletic Budget cannot cover. Total = $2,775 - Listed below are levels of Team Sponsorship. Gold Club $250 Team T-shirt, LCHS Socks, banner and public advertising. All banners will be hung at Liberty Charter High School and taken to track meets for the community to see. Businesses will also receive advertising at our track meets, school website and our LCHS weekly parent newsletter.